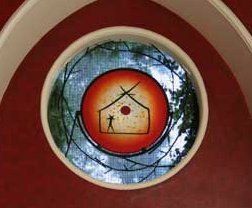 The Oakerhater Guild represents the Cathedral community in its partnership with the Oakerhater Center and Whirlwind Mission of the Holy Family in Watonga, Oklahoma. The Oakerhater Guild offers an annual Vacation Bible School in Watonga for all children. The Guild also participates in the annual Oakerhater Honor Dance, which is held at the Oakerhater Center near the Feast Day of Oakerhater. At Christmas time the Guild, along with the parish, join in filling shoeboxes with gifts for children at the Oakerhater Center.